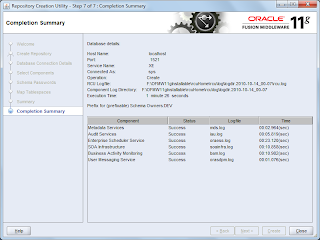 In this post I will walk you through the installation procedure of Oracle SOA 11.1.1.3.0 (PS2), Oracle BPM 11.1.1.3.0 and Oracle Service Bus (OSB) 11.1.1.3.0 on Windows 7 64Bit in a single middleware home including the installation of JDeveloper, it’s SOA extension and; SOA, BPM and OSB common domain configuration. You may use JRockit as well. You may download Oracle Fusion Middleware components from here. 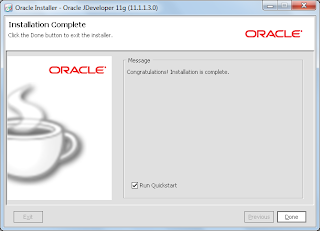 Run file OracleXEUniv.exe and install the XE database. 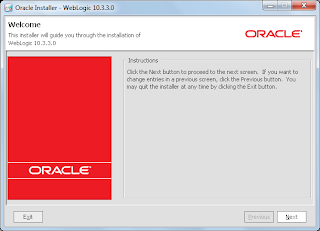 You may refer the Oracle XE installation guide. Note that SOA requires 300 processes and BAM requires more 100 processes (total 400) which is additional to any other requirement, hence I assigned 500 to processes parameter. In above commands I have assumed that password of “sys” user is “password”. 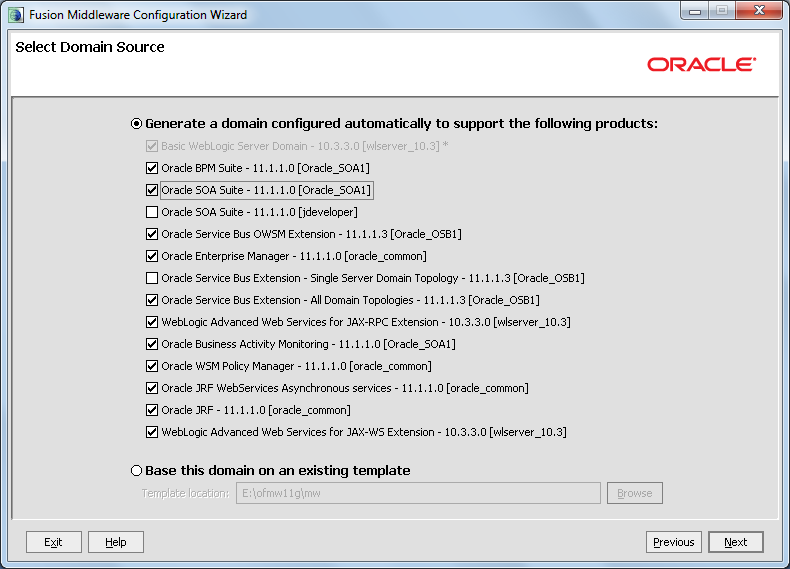 b) On “Create Repository” Page select the “Create” radio button. f) On “Map Tablespaces” page change anything if you want. I chose the default. 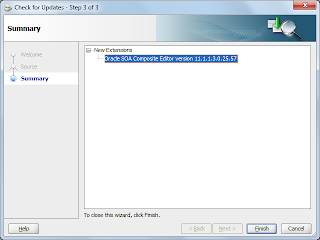 After this step required tablespaces will get created in the DB. We will use this 32 bit JDK for starting JDeveloper as JDev can not be run with 64bit JDK. Make sure that you are using 64bit JDK to run above command. On clicking "Next" button it may prompt a warning that middleware home is not empty. Safely ignore that warning. 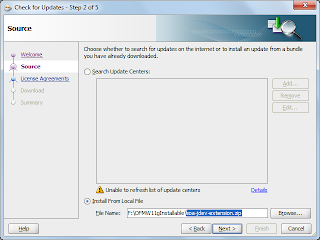 On “Choose Install Type” page select the “custom” install type. On “Choose Products and Components” page, select all the components. Now on “JDK Selection” page, browse to the 64bit JDK we installed. 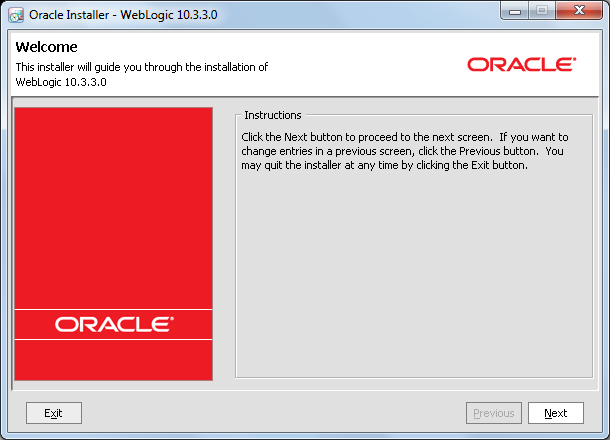 Now let the default settings remain at next two pages and install the Weblogic. 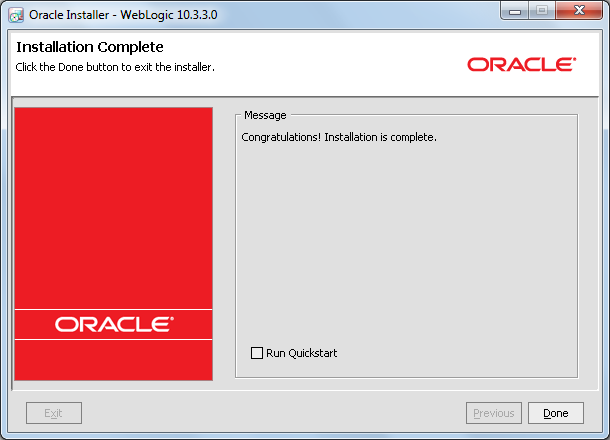 Now we have to install Oracle SOA PS1. To start installation, run the setup.exe inside Disk1. 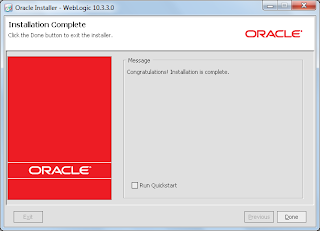 Provide the JDK/JRE location as “E:\ofmw11g\mw\jdk160_21” to start installer. On “welcome” screen click on the next button. On “Specify Installation Location” screen make sure that middleware home path is correct. 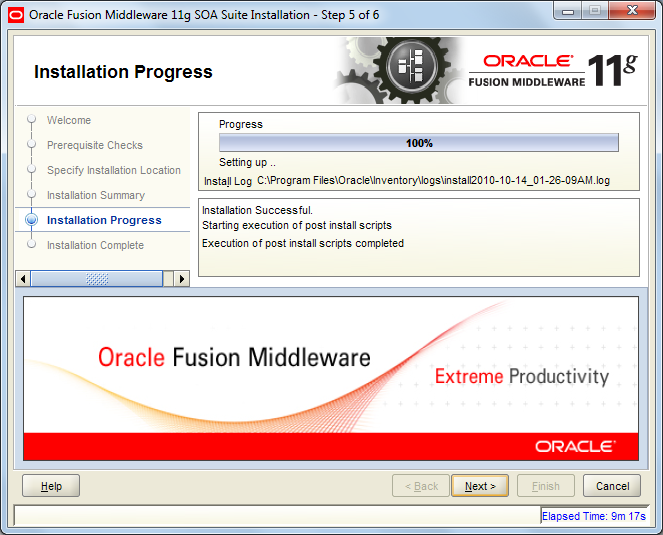 On “Installation Summary” screen check the summary and click the “install” button. On “Installation Complete” screen review the information and click “Finish” to complete the PS1 installation. Run the setup.exe inside Disk1 of PS2 installer to start installer GUI. 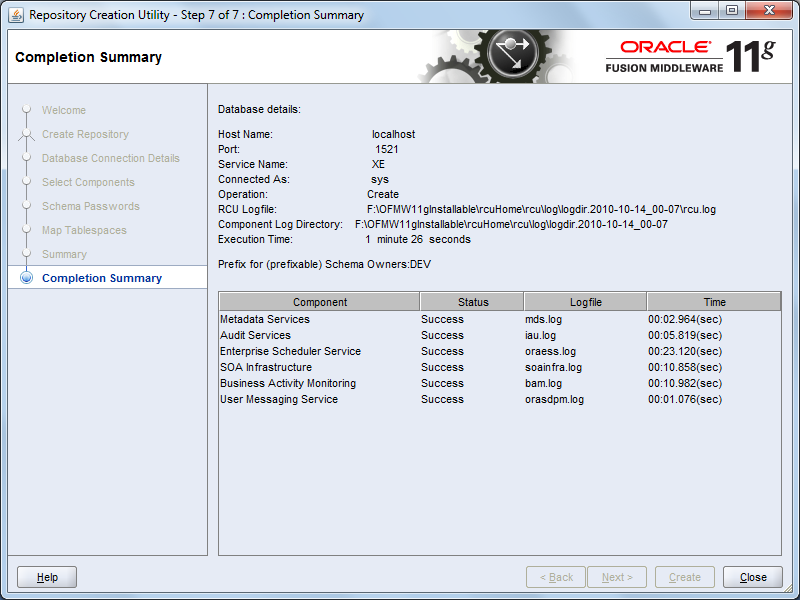 Note that PS2 will install Oracle BPM along with SOA suite in your middleware home. Click on the next button on welcome page and select “Custom” on “Select Installation Type” screen. 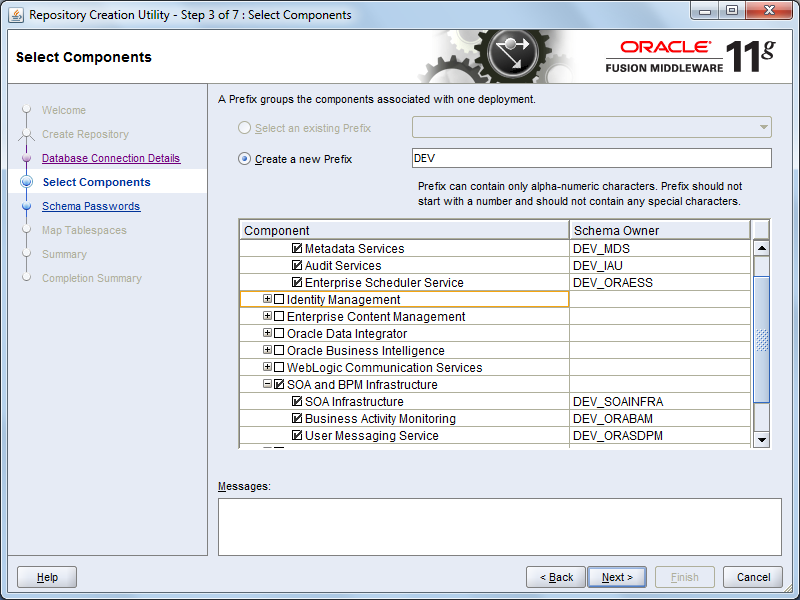 On “Components to Install” screen, select all the components. All pre-requisites check should be cleared on “Prerequisites Check” screen. 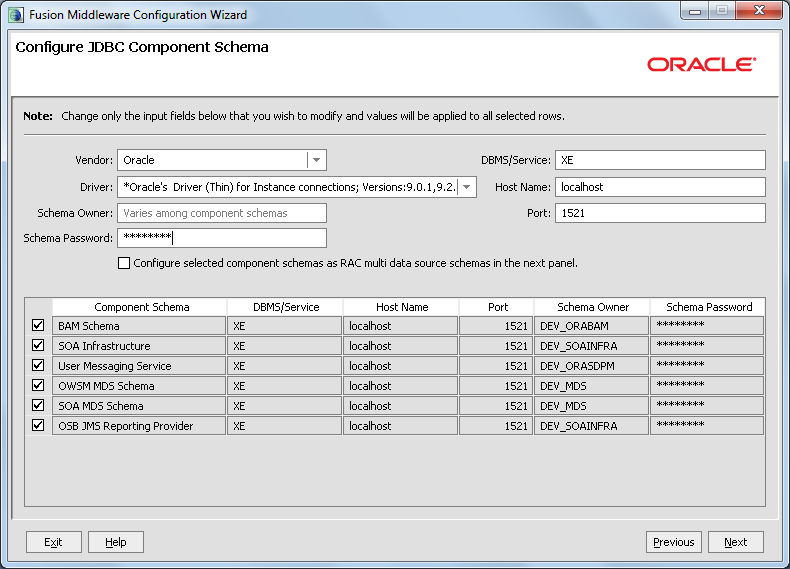 On “Specify Installation Location” screen, make sure that all locations selected are valid. 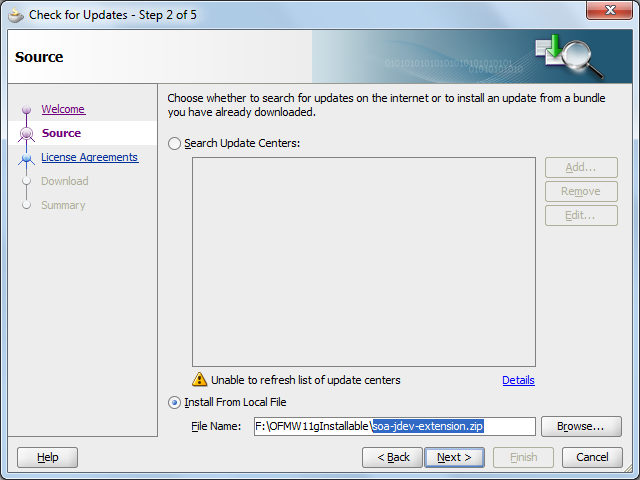 On “Installation Summary” page, review the summary and click on “Install” button. 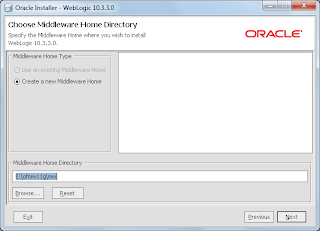 On “Choose Middleware Home” screen select “Use an existing middleware home” and make sure that it is pointing to the middleware home we created earlier. 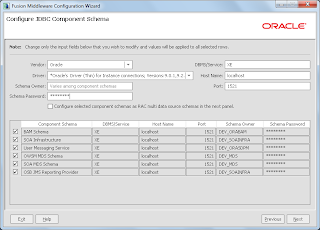 On “Choose Products and Components” screen select each and every component which is enabled. On “JDK Selection” screen, select the 64bit JDK which we have installed in our middleware directory. 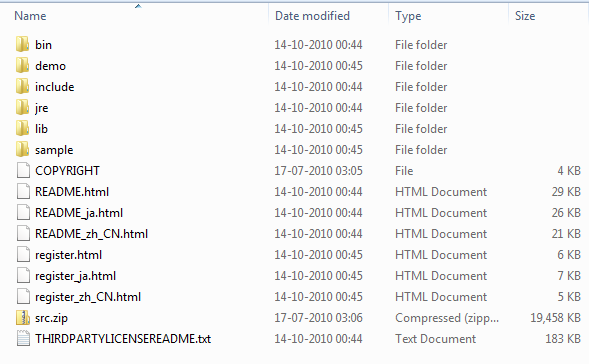 Save the jdev.conf file and close it. It will open up the check for updates wizard. Click on “Next” on the “Welcome” page of the wizard. Now in “Source” page, select “Install from local file” and browse to the soa-jdev-extension.zip file you downloaded. 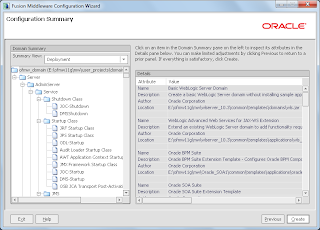 Now you should be able to create a “SOA Application” in JDeveloper. Here we are done with installation. 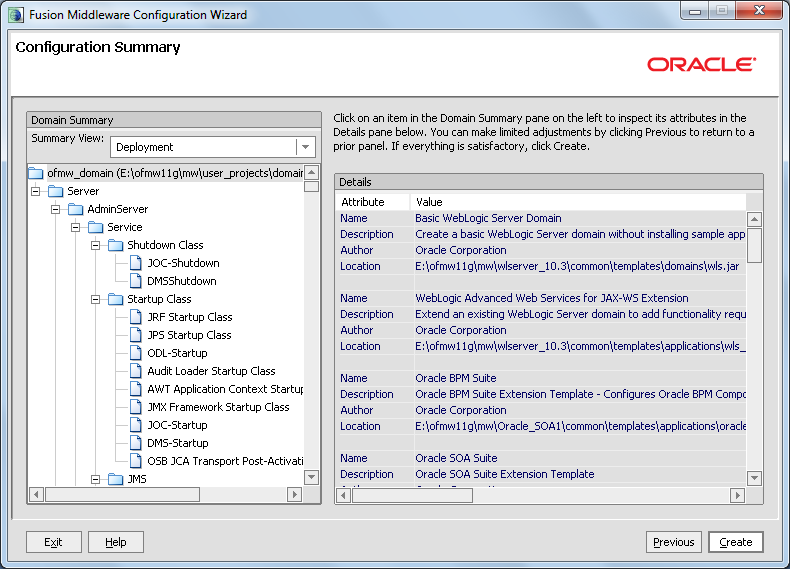 Now we will configure a common domain for SOA and OSB. Run file E:\ofmw11g\mw\wlserver_10.3\common\bin\config.exe to start the Domain Configuration Wizard. 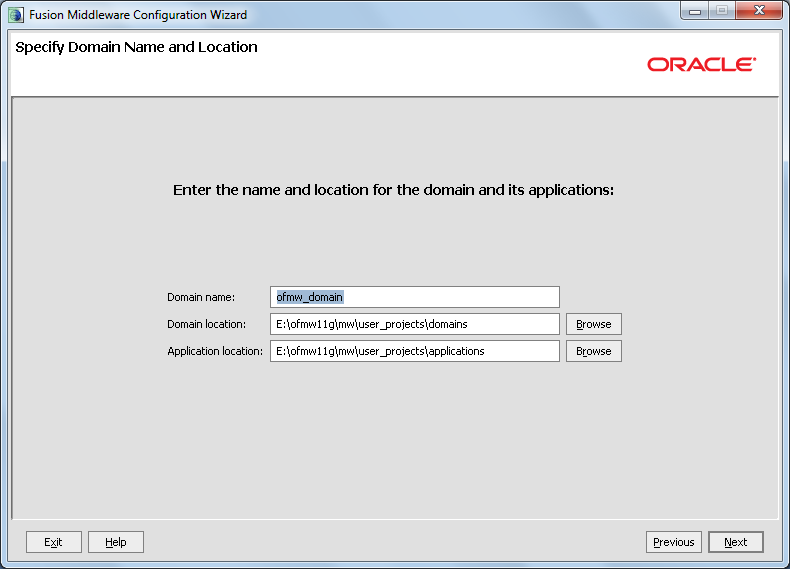 Now specify the Domain Name on the “Specify Domain Name and Location” screen and click on “Next”. 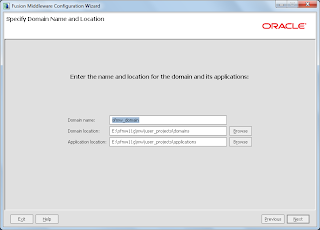 Now configure the administrator Username and Password and click on “Next”. And click on “Next” to get them configured after connection testing. 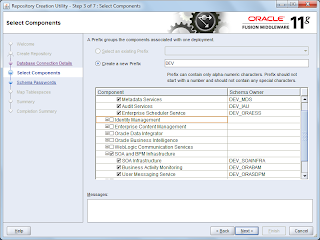 On “select optional configuration” page select the components which you want to configure. I select all. 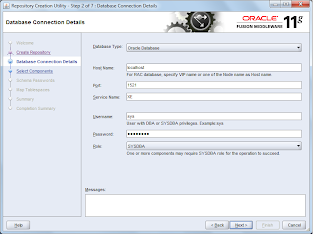 Now you have a ready to use Oracle SOA-BPM-OSB 11g setup on Windows 7 64Bit operating system. 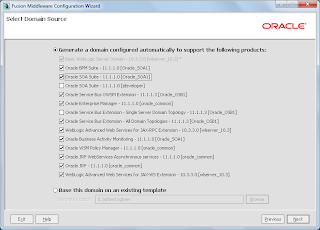 I have follwed all the steps but when I configure the SOA and OSB domain it gives a fatal error and exit.In the user project/serves dir I don't see any see any servers. Instead I right clicked the jar and run as administrator and i did not get any error. 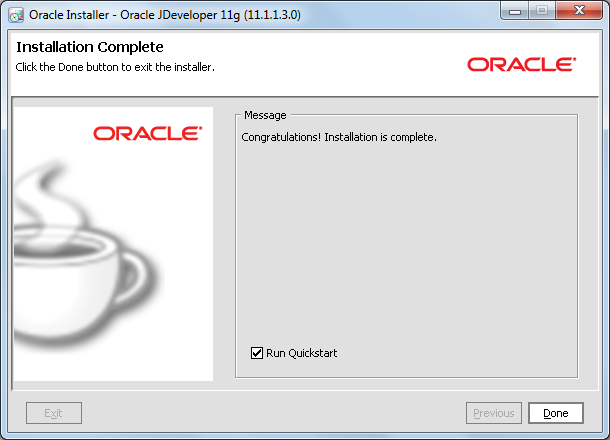 Do we need to set java_home for this installation? Otherwise I have follwed all the steps as it is and at any stage it did not give any problems. My OS is Windows 7 home premium. I always wanted to document the steps & have a local copy. But you know what I always get stuck with something or the other. I've always done it successfully on Win XP, never tried on Windows 7. Let me give it a try by following your blog. really it was a very good article. it was very help full for me. 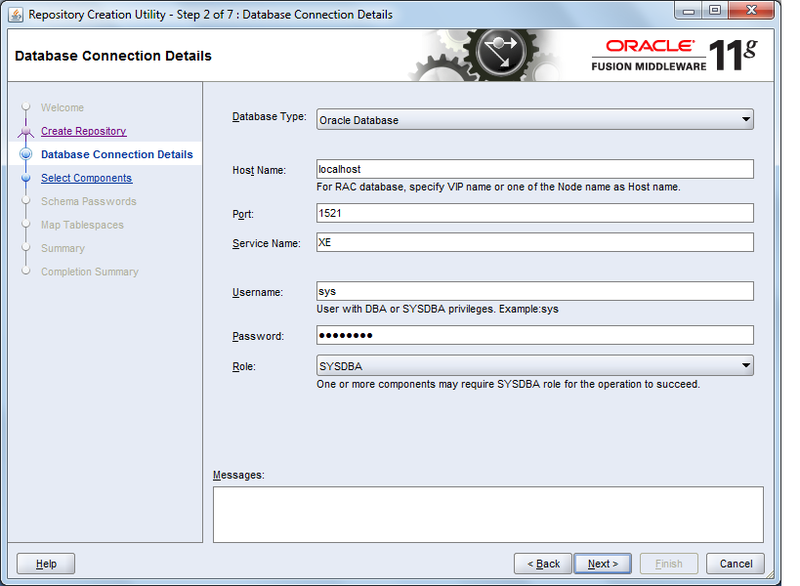 I am referring your blog to do SOA-OSB setup.I am following the same steps you mentioned.I completed the setup till step 9.Now I am stuck in installation of OSB.I am facing issue: "INST-07248 Specified OEPE Home location is not valid location." I am having "oepe-galileo-all-in-one-11.1.1.5.0.201003170852-win32-x86_64" I was having another Middleware version with oepe_11.1.1.8.0.Now I am doing the separate full setup with all the same software versions you mentioned in the blog.Now I am baddly stuck in this.Your help is highly appriciated.Thanks! Admin,Your Info was very helpful. Oracle SOA online training by real time international experts in an easy way to learn way. To know the info on Online Oracle SOA training contact below and get full info on Oracle SOA online training.